Wednesday 27 April 2.30 – 4.30p.m. Margaret and John’s enduring musical partnership is built on shared ideals. Both passionately believe that music is for sharing and both divide their time between performance in recital and chamber music, and between teaching, coaching and lecturing. Margaret has toured extensively in Europe, the USA and Japan, especially with period instrument orchestras, and in 2010 she founded the charity Everyone Matters that now takes a wide range of projects into schools, special schools, nursing homes, day centres and the wider community. John has appeared on BBC TV, Radio 3 and Classic FM, and has performed in Croatia, Iceland, Japan, Portugal, Turkey and South America. In London he has played at the Barbican Centre, Cadogan Hall, the Purcell Room, the Queen Elizabeth Hall and St John’s, Smith Square. Julia Desbruslais is once again partnered by her son Tim Posner in a new programme of music for two ‘cellos. There are two chances to catch them, so why not come to both! The friendly, informal atmosphere at these events allows everyone to chat to the musicians, especially during the intervals. We run a donations bar on Tuesday evening with wine, soft drinks and nibbles, and we sell afternoon tea with home-made cakes on Wednesday afternoons. All proceeds go towards sustaining these professional lecture-recitals. Julia Desbruslais is Co-Principal Cello of the London Mozart Players and recently became the orchestra’s Executive Director. Her son Tim Posner began his cello studies with his mum at the age of seven, and he is currently a pupil of Leonid Gorokhov at the Hochschule für Musik und Theater in Hannover. There are two chances to catch Lesley Schatzberger’s Klezmer presentation, at Whitgift House Chapel, Croydon on Tuesday evening 15 December at 7.30p.m. and at St Mark’s Church Room, Bromley on Wednesday afternoon 16 December at 2.30p.m. 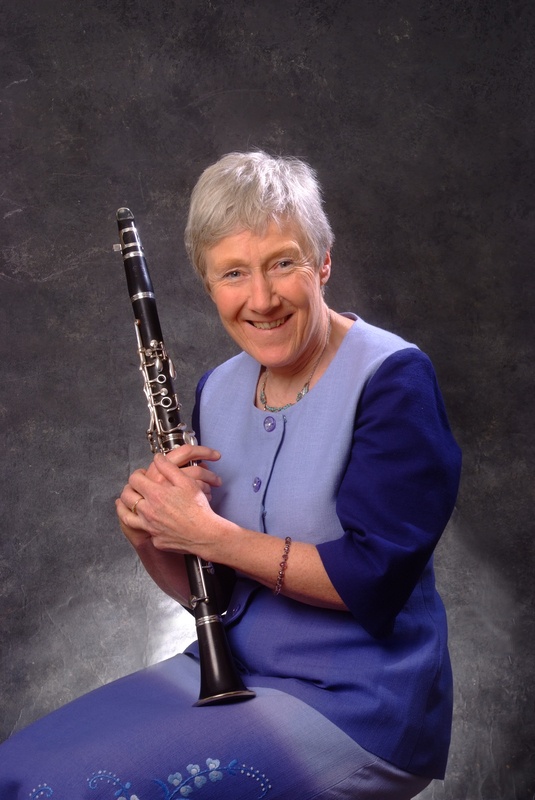 Margaret Archibald will be playing bass clarinet to support Lesley in several performance items. The customary wine and nibbles on Tuesday and afternoon tea on Wednesday will perhaps have a Christmas flavour – well, you would expect it, wouldn’t you! Lesley Schatzberger pioneered historical performance alongside being involved in a broad range of music-making. She has played all over Europe, the USA and Japan, both as an orchestral player and chamber musician – often in Stockhausen’s chamber group. She teaches at the University of York and the Royal Northern College of Music. Entry to non-subscription holders: £10 0n the door. Donations towards interval refreshments go towards supporting these lecture-recitals and helping to keep them on the road. 8.30a.m. is a cruel time of day to start a rehearsal. Nicoline, Ian and I arrived at Langley Park School for Boys on Monday in time to spend a long morning working with eight young musicians in preparation for concerts that same afternoon and on the following day for older people in local care settings. Head of Music David Bullen not only conducted, but also played the piano, played the clarinet and drove the bus, and staff violin specialist Lisa Fry coached and played to complete the ensemble. Some of the boys had only been in the school a couple of weeks as brand new Year 7s, holding their own in a mixed group of violins, cello, flute, bassoon and horn, with Nicoline Kraamwinkel playing the violin and coaching the strings, Ian Fasham playing the bass trombone and coaching the wind alongside me, Margaret Archibald, on clarinet. Concert 1: at St Barnabas Beckenham, hosted by Father Tim Hide, with a magnificent array of home-made cakes served by a team of volunteers and enjoyed by local people including a large contingent from the Abbeyfield flats across the road and a group of guests from Bertha James Day Centre on Bromley Common. Concert 2: a cocktail showcase concert at Langley Park Boys’ School in the magnificent concert hall, the music enjoyed by parents and friends in a “happy hour” with Gin Giardino, Tempo and Fruit Sparkler. 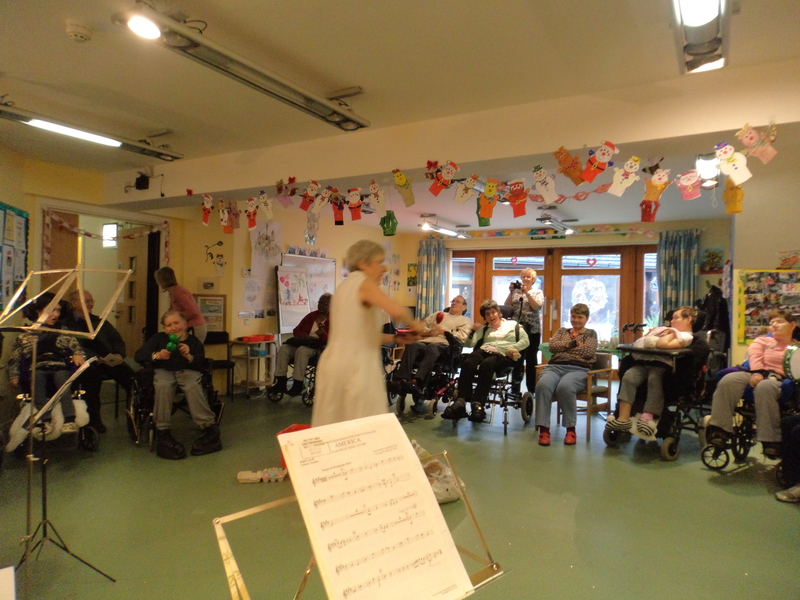 Concert 3: after another early rehearsal to add a couple of extra pieces to our programme, a performance for residents at St Cecilia’s Leonard Cheshire Home in Sundridge Avenue. Concert 4: afternoon tea at Prince George (Masonic) Duke of Kent Home in Chislehurst, where many of the residents still remembered the previous visit of Langley Boys in a noisier ensemble of woodwind, brass and percussion. 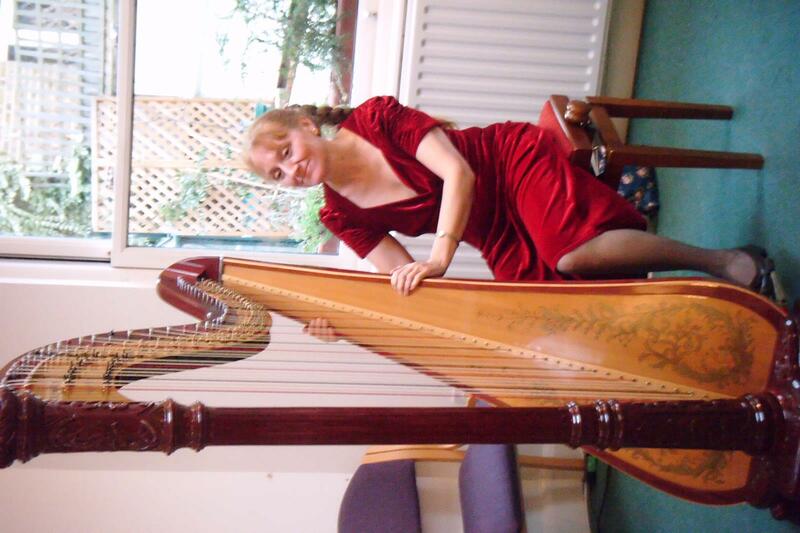 Rosanna Rolton visited Raleigh House on Saturday to give a post-luncheon harp recital to the Dementia Club. 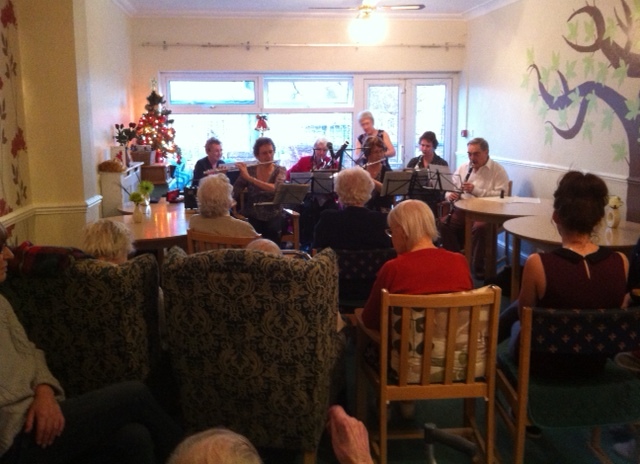 “What a wonderful recital Rosanna treated us to on Saturday!” wrote Assistant Day Centre Manager Marion Caldwell. “Everyone was spellbound and thoroughly enjoyed themselves. Even members who can be prone to restlessness were taken with the performance “. Intimacy and informality charm Rosanna’s audience at Raleigh House. 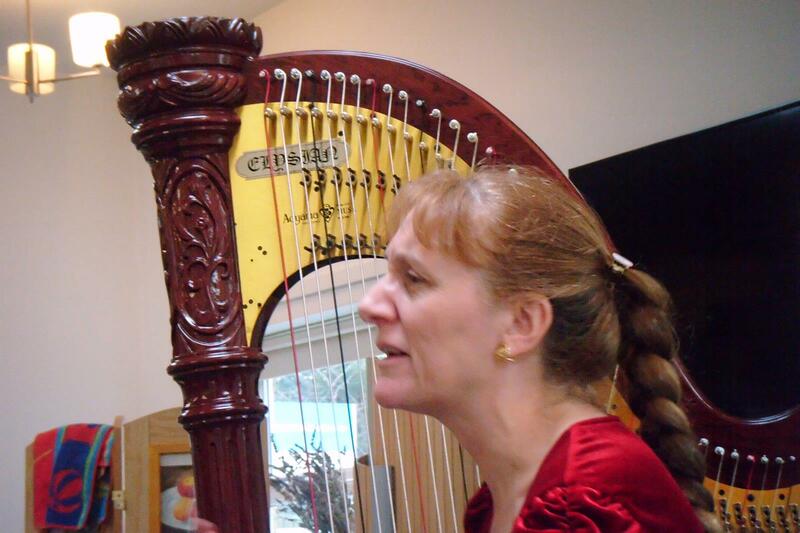 Rosanna demonstrates the harp pedals to a captivated audience. Later that same afternoon Rosanna drove her harp round the corner to The White House where once again she offered items from her musical menu and happily answered questions from those inquisitive about her beautiful instrument. 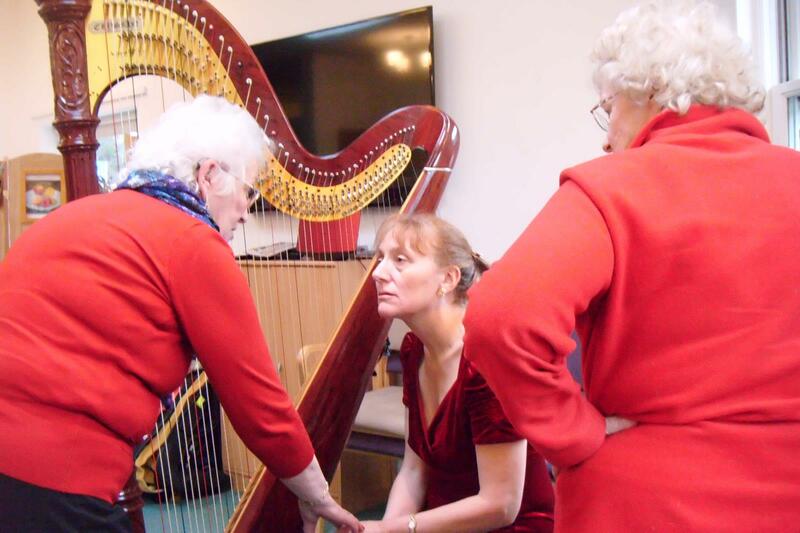 As Rosanna herself explained, “there was much excitement about the harp, many people had never seen a harp close by, which resulted in many questions and stories being shared”. This day offered the Maldens & Coombe Neighbourhood two extra concerts, thanks largely to donations from the Friends of Everyone Matters. in addition to the six concerts organised during the ’14-’15 season under the local neighbourhood grant scheme. Danielle Perrett visited Murray House Day Centre and Bradbury Active Age Centre today, Tuesday 10 February, to perform for enthralled audiences of older people in the Royal Borough of Kingston upon Thames. Everyone Matters has strong links with some twenty venues around the borough, including Tolworth Hospital Cedars Unit and Amy Woodgate House in the South of the Borough, nursing homes and day centres in Maldens and Coombe and in Surbiton, and our musicians are regular performers for audiences at the two centres visited by Danielle today. 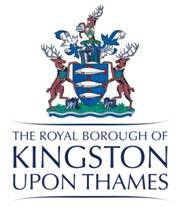 The full series of more than 24 concerts during the 2014-15 season is supported by the Royal Borough of Kingston upon Thames through the four Neighbourhood Grants Committees. The Spring 2015 series of Music Matters lecture-recitals starts on Tuesday 6 January at 7.30p.m. The beautiful setting of the Chapel at Whitgift House is once again the venue for our fortnightly Tuesdays. A subscription of £56 for the full spring season represents a saving of pretty much 21%. If your Tuesdays are often busy then please do come along whenever you can and simply pay on the door, £10 per lecture-recital. Former principal conductor of the Her Majesty the Queen’s Household Division and Lieutenant Colonel, Graham Jones has an extensive career as an inspiring leader, motivator and conductor who is much in demand as a guest conductor, clinician and lecturer across the globe. Recently he has been Inspiring musicians and audiences alike in the USA, Sweden, Germany, Latvia, Norway and Belgium to name but a few. Graham’s anecdotes will make you laugh but the entire experience will leave the audience with inspiring messages of innovational teamwork and leadership through the art of conducting, training and performing on stage as both an internationally acclaimed conductor and teacher. Ever since Caroline Brown founded the Hanover Band in 1980 its primary objective has been to enable audiences to gain a better feeling for what earlier music actually sounded like when heard in favourable circumstances. Historical instruments are key to this; as one prominent conductor recently put it, “they have more colour, shape and less weight than modern instruments. They are more tangy, more piquant. We can play full out with the greatest passion, and still sound like Mozart”. Martin Smith is a member of the newly self-governing London Mozart Players and has partnered Margaret for many years giving informal concerts in community venues and workshops in schools and kids’ clubs nationwide. Gary Ryan is one of the world’s foremost classical guitarists. He captivates audiences with his exceptional virtuosity and creative genius and has won universal acclaim for his formidable blend of flawless technique, profound musical artistry and highly varied concert programmes. In May 2013 Gary was awarded a Fellowship of the Royal College of Music, London, by HRH Prince Charles in recognition of his outstanding achievements in the international musical world. David Campbell is internationally recognised as one of Britain’s finest musicians and was described by the doyen of British clarinettists, the late Jack Brymer, as ‘the finest player of his generation’. His recording of Peter Lieuwen’s ‘River of Crystal Light’ was released in May 2007 and the following year ‘Reflections’ – Clarinet Concertos by Carl Davis, Gerald Finzi and Graham Fitkin with the Aurora Orchestra, conducted by Nicholas Collon. In 2010 a recording of the Septet by Welsh composer, John Metcalf, was issued to great critical acclaim and Richard Blackford’s Quintet, “Full Moon” will be released on the Nimbus label in June 2012. A recording of Roger Steptoe’s Quintet is planned for 2013. Currently Research Fellow in Performance Practice, Ingrid joined the RCM in March 2005 as Deputy Head of Graduate School. Highlights from this time include nurturing the College’s doctoral programme, playing a key role in the submission to RAE 2008 and jointly authoring a new suite of Masters programmes. In July 2011 Ingrid became Research Fellow in Performance Practice and plays a leading role in integrating the College’s research and teaching across both theory and practice. Ingrid performs as a clarinettist in the arenas of historical and contemporary performance. She has appeared with the major UK period ensembles. At sixteen Julia Desbruslais won an open scholarship to study the cello with Florence Hooton at the Royal Academy of Music. During this time she won many awards and was a founder member of the all-female Fairfield String Quartet. On leaving the Quartet, she became Co-Principal Cello with the London Mozart Players, where she regularly performs with the Chamber Ensemble and has appeared as a concerto soloist. She is also Principal Cello with the London Jupiter Orchestra, with whom she has performed John Taverner’s Eternal Memory at St John’s, Smith Square. She regularly plays as guest principal with many London orchestras, including the New London Orchestra and City of London Sinfonia. Tim Posner was born in London in 1995 and began playing the cello at the age of seven, studying with his mother, Julia Desbruslais. He studied at the Junior Department of the Royal Academy of Music with Robert Max, and is now a pupil of Leonid Gorokhov at the Hochschule für Musik und Theater in Hannover. Tim gave his debut recital at the age of 14 at St Barnabas Church, and his debut concerto performance later that year, playing the Hungarian Rhapsody by Popper at the Fairfield Halls, Croydon. In 2011, Tim gave the world premiere of Via Crucis, which was written for him and his Mother by William McVicker. Later that year he performed Tchaikovsky’s Rococo Variations at Cadogan Hall, with the Royal Philharmonic Orchestra and Whitgift Chamber Orchestra, and was chosen to perform in a London Cello Society event, alongside eminent international soloists. This year he gave a performance of Cpe Bach’s A major concerto, and future engagements include Brahms’ Double Concerto. He has taken part in masterclasses with cellists including Maximillian Hornung, Jo Cole, Sebastian Comberti, Tim Gill and Bernard Gregor-Smith. 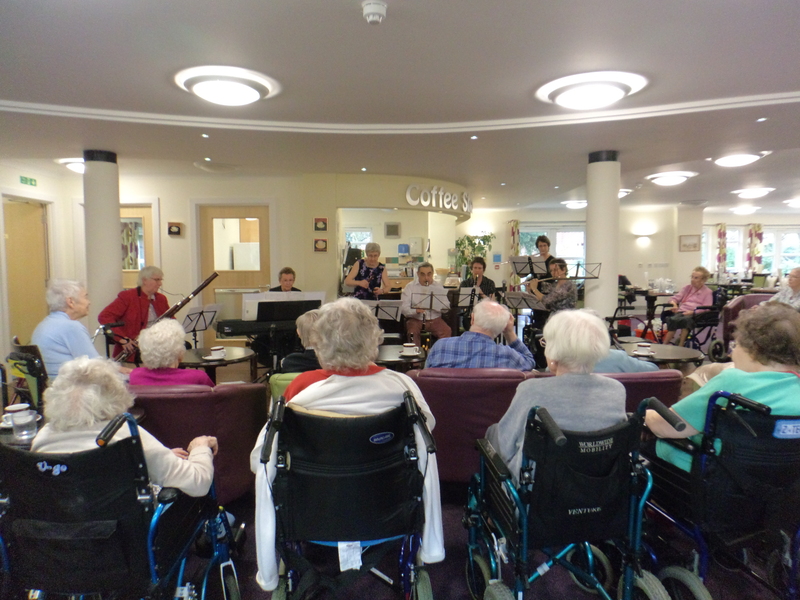 Everyone Matters is delighted to announce that Benslow Music will once again host a residential course for amateur musicians who will come together to rehearse a concert programme for performance in local Hitchin care homes. We piloted this new idea in December 2013 and, following the success of our first course, we have been invited to return for a course running from the evening of Sunday 14th to late afternoon on Wednesday 17th September 2014. 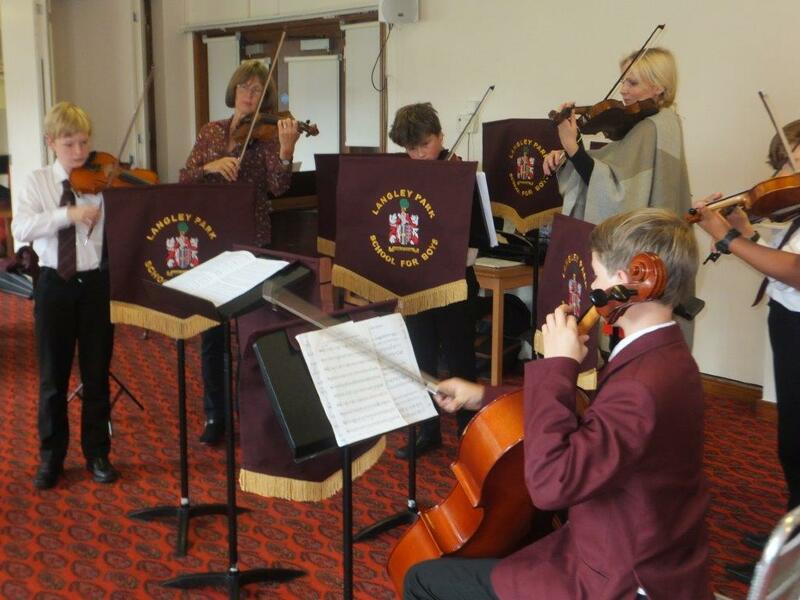 Benslow Music is renowned for the opportunities it provides for amateur musicians to make music together. 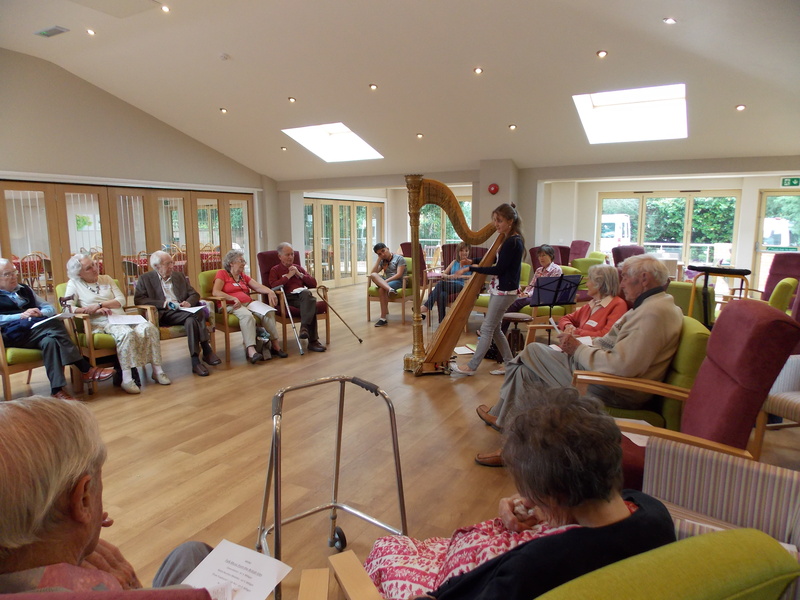 In this unique course, we aspire not only to share the fun of music-making with one another, but to share it with others who live and work in four local care homes. A dash back to Benslow for lunch left us just about time to get out again for our afternoon performance at Highbury Rise, where Maria had promised us mince pies. In fact, her exact words when I rang to offer her a concert were “If you come here, you’ll have to have homemade mince pies”. Yes, you do see a theme emerging here, that food and drink are important on these occasions . Apart from the side benefit to the musicians, who do (honestly) use a lot of energy and get pretty thirsty when performing, there is nothing like a cup of tea and a mince pie to create an easy, sociable atmosphere and promote conversation. Two concerts down, two to go, and on our second day of concerts I decided I would take the box of percussion out of the boot of my car. Perhaps our performance of “America” from West Side Story was not entirely authentic, but we all had huge fun playing it; every member of the audience at our morning visit to Symonds House Leonard Cheshire Disability, staff and clients alike, enjoyed choosing the instrument that took their fancy from the big red box of maracas, tambourines, drums and guiros. Finally it was back to Benslow for lunch, and then an afternoon tea at Benslow Nursing Home that would have kept a full symphony orchestra quiet, never mind our little group of seven musicians. I’m not quite sure how we squeezed even just the seven of us, with keyboard and music stands, into the living room, but we managed it somehow, and the quality of repartee throughout the concert, and the level of hilarity as the percussion came out, made the performance a lovely climax to our few shared days of intensive music-making. Music is for sharing! As we prepared to say our goodbyes we were all in agreement that “sharing” was the watchword, the key, the essence and the whole point of the course. 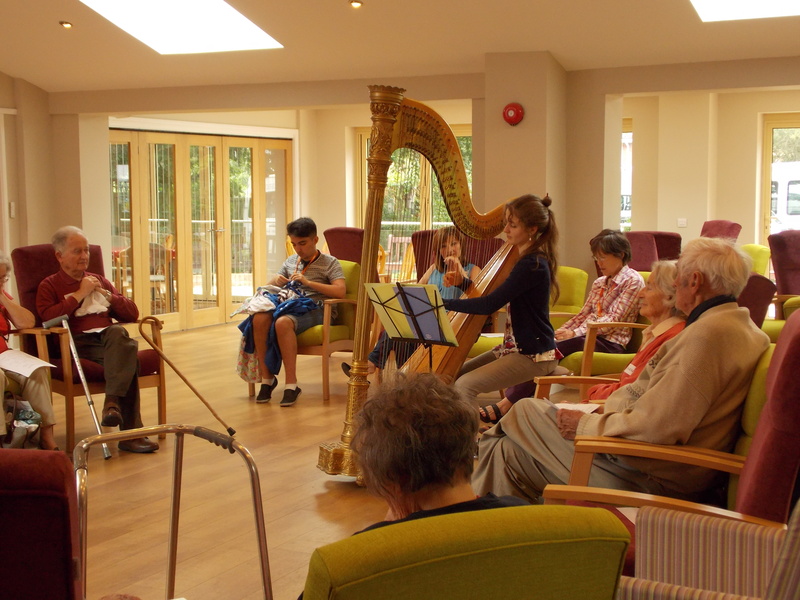 Music is communication, music transcends words, music opens hearts and demolishes inhibition, and the music we offered was our passport to these four most welcoming care homes. Thank you all so much for coming into Elmside to perform for us. The morning was actually very moving for many staff members here to see some Residents leave their rooms to come and listen to you, and comment on how much they enjoyed the morning. I really believe this needs to happen more in our care homes. We received many comments from the Residents about the morning…. These are a few of the comments I received during the day, but the most said comment Margaret was…. “WHEN ARE YOU ALL COMING BACK” !!!!!!!!! So once again on behalf of the Residents we all Thank You. Here at Elmside we wish you all a very merry Christmas and a healthy New Year. Dates for 2014: Sunday 14 – Wednesday 17 September …the course meets for dinner on the first evening, and finishes after tea on the last day.